Fort Point Boston Blog: Who will be the primary winners in Massachusetts? The Massachusetts Presidential Primary is Tuesday, March 1, 2016. Cast your vote at the Condon School located at 200 D Street (behind the Labouré Center). 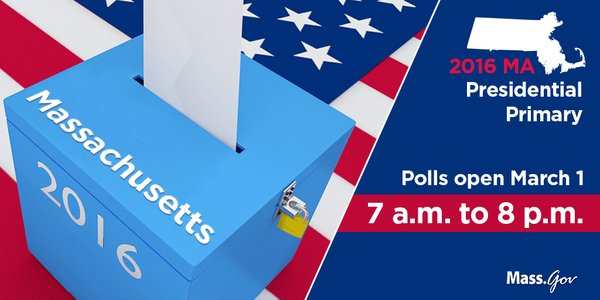 The polls are open from 7 am - 8 pm. To verify you are registered to vote, click here.